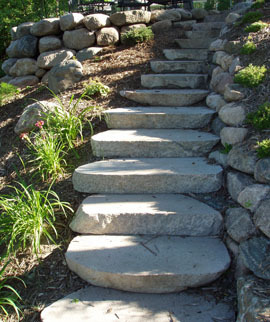 Stone Steps are permanent and durable. They can sometimes be a necessity. Carefully planned Steps can give you the ability to make your yard much more accessible. 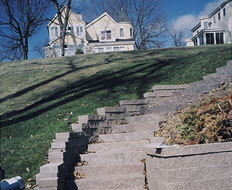 Steps also give a safe approach to different elevation with in your yard.